Haimark Line announced the launch of their newest ship, the Saint Laurent, scheduled to set sail in May 2015. Previously known as the Sea Voyager, the vessel is undergoing a major refurbishment joins the already well-known luxury Haimark fleet and will offer guests the same unique style of cruising they come to expect. The ship will travel year round with programs in both the North Atlantic Coast and in South and Central America. Travel in the Northern Atlantic includes coastal New England and the Canadian Maritimes and will pass through the waterways of the Bay of Fundy, the St. Lawrence Seaway, Georgian Bay and the Five Great Lakes. 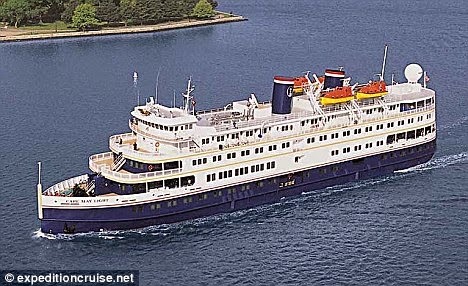 The new itineraries include: 10-day, “Canada’s Atlantic Coast and the St. Lawrence Seaway”; 10-day, “The Five Great Lakes – A Freshwater Paradise” and 10-day, “Georgian Bay and The Five Great Lakes.” In addition, the 13-day, “Historic Coastal America” traverses the entire Atlantic Seaboard and will feature many famous and historic US ports along the way. In South and Central America, the routes include travel from Nassau to Cartagena, Cartagena to San Jose and San Jose to Lima. Passengers will have the opportunity to explore many exciting ports including a guaranteed daytime transit through the Panama Canal and stops on Coiba Island and The Darian Jungle, both UNESCO World Heritage Sites accompanied by a well-trained expedition team and a fleet of newly purchased Zodiac Mock Fives.